For more information download the CD25 brochure. 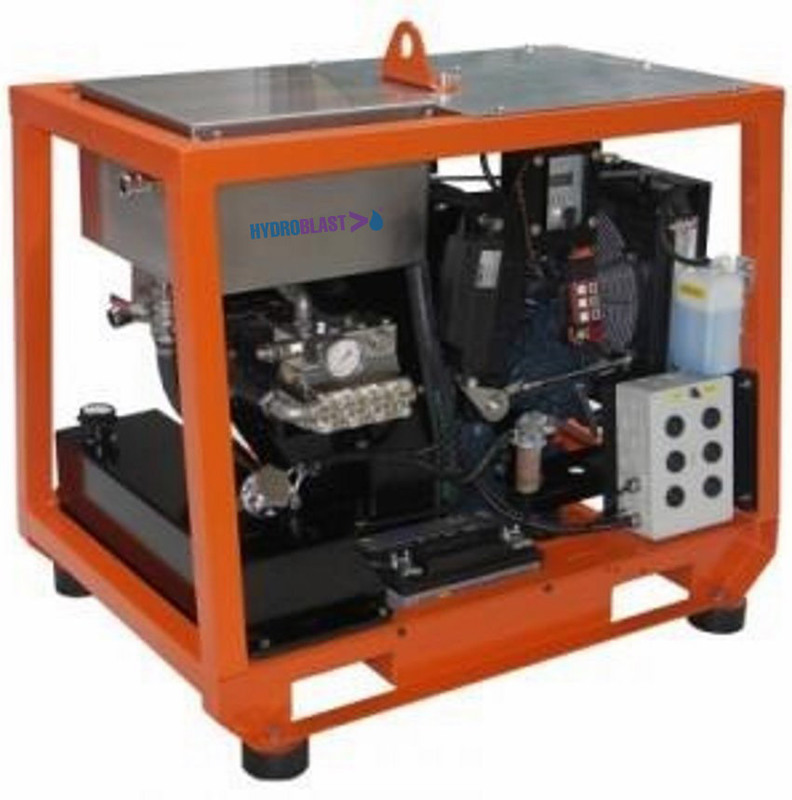 This compact water jetting CD25 machine is brand new. It features a 280 bar, high pressure pump and a 28L/min water flow. The diesel high pressure machine uses a Kubota engine. It also has a sturdy frame which surrounds it, kept in place with four robust rubber feet. The frame is made of stainless steel for added durability and corrosion and powder-coated for aesthetic appeal. It benefits from a small footprint which measures just 1200mm x 800mm, equivalent to that of an EUR Pallet. Forklift pockets and one central lifting eye for easy transfer.